3. 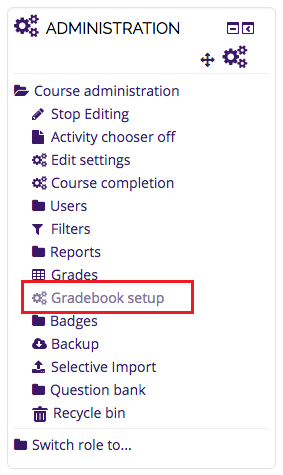 Choose the graded item you wish to edit. 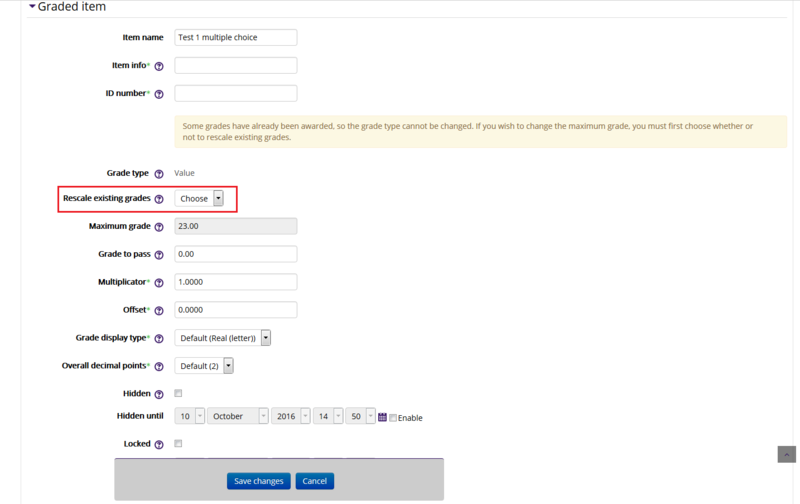 Under the Actions column, click edit, then edit settings. 5. 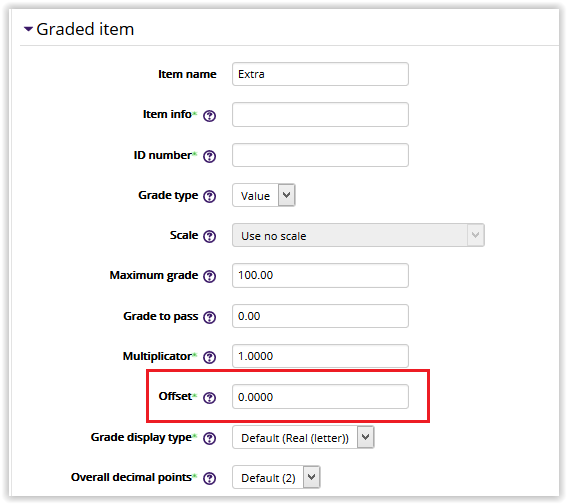 If you have already graded the item, select 'yes' under the ‘Rescale existing grades’ menu. 6. Next locate the Offset fieldbox. Type a value for the Offset tool. For Offset values greater than zero, grades will increase. For Offset values equal to zero, grades will remain the same. For Offset values less than zero, grades will decrease. 7. When you're finished, click Save Changes to apply.